Editor’s note: If you missed the news, AAdvantage has a new Google Plus page. As a child one of the highlights of the holiday was the annual arrival of the Sears Wish Book catalog. 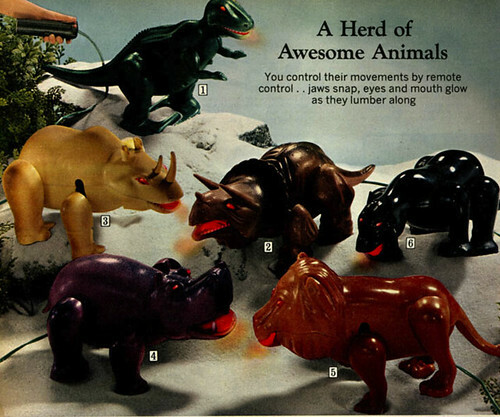 I would study every little detail of toy section: the descriptions and the photos. The greatest edition ever may have been the 1978 Wish Book. That was the year that Sears offered every single Star Wars action figure including the secondary characters like Hammerhead, Snaggletooth, and Greedo. It was also the year that they sold the Star Wars Death Star Play Set. As far as I’m concerned, shopping hasn’t been as much fun since. I’ve never been one to enjoy shopping. Especially at this time of year. Some people develop strategies for holiday shopping, I develop some for avoiding it, and gift cards are key to my shopping avoidance system. A way for to me to do all my gift card shopping at once and earn miles is to use GiftCertificates.com, one the AAdvantage eShopping retailers. GiftCertificates.com offers gift cards to just about every retailer I know of and you’ll earn 3 miles per dollar. To earn the miles you have to be a member of AAdvantage eShopping (free) and navigate to GiftCertificates.com from the link provided at the AAdvantage eShopping Mall. If you’re interested in a little retro shopping, go here WishBookWeb to see more catalogs form 60s, 70s and 80s. You can stage the meeting of 2 of the most fiercest dinosaurs that ever walked the earth. Push the remote control button…they walk forward or backward! @Josinei – That’s a great idea!!! Thanks for sharing:).